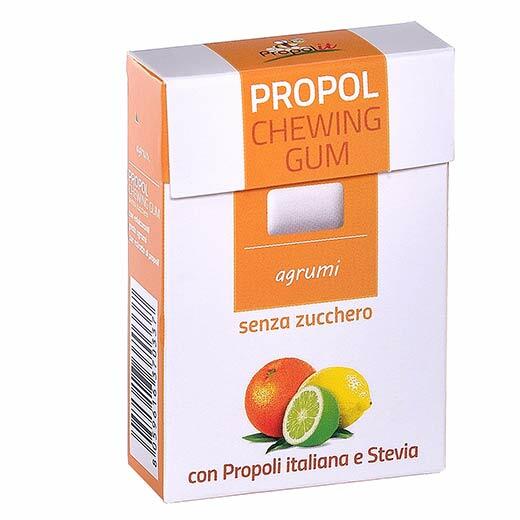 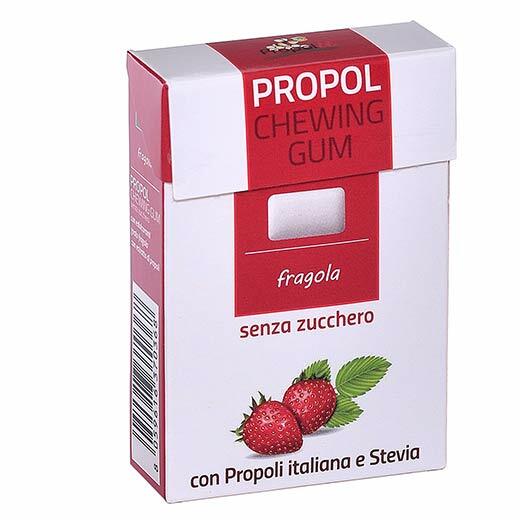 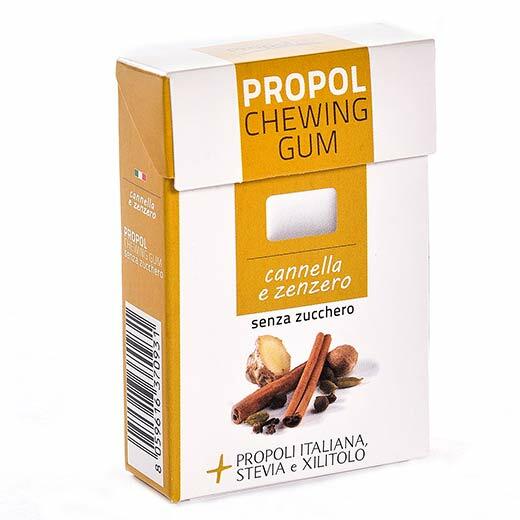 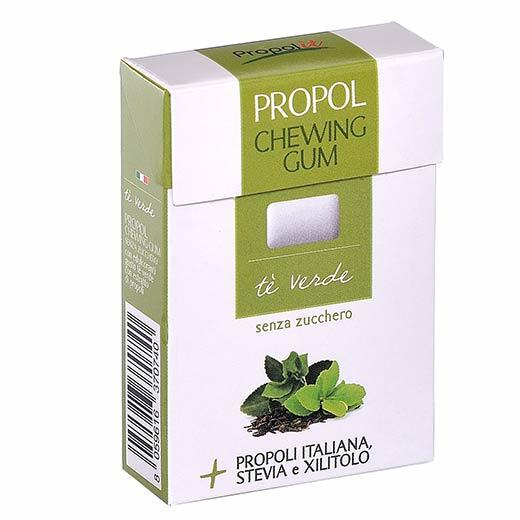 A line of sugar free chewing gum made from pure Italian propolis, natural flavorings and Stevia Rebaudiana (a 100% natural, zero calorie sweetener). 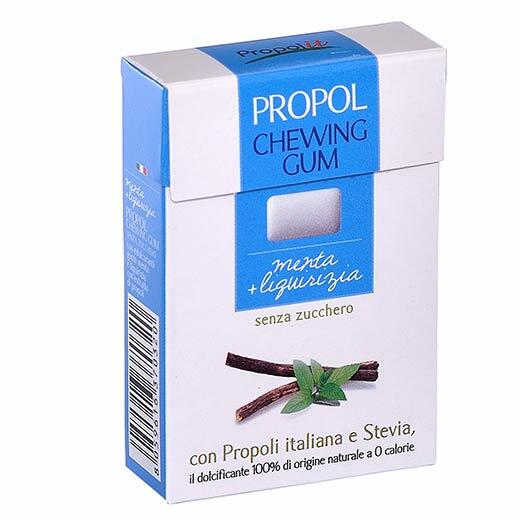 No junk chewing gum with absolutely no artificial sweeteners (like edulcorant and acesulfame k). 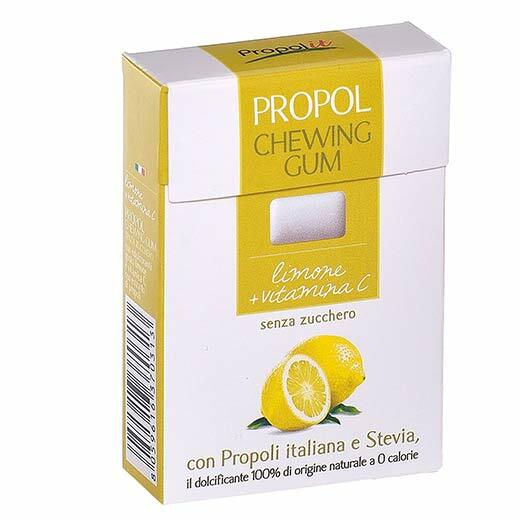 You can now take propolis and disinfect your throat by simply chewing our gum!